Fender classical strings emit superior warmth, clarity and sustain. The pure silver windings offer a smooth feel with reduced finger noise. 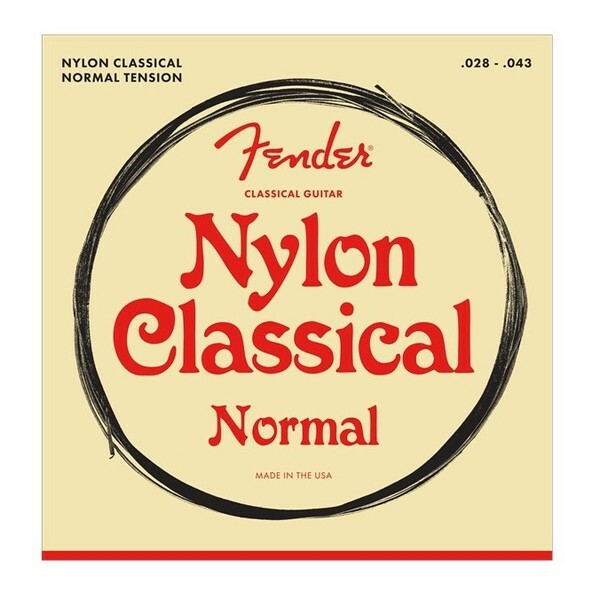 Fender 100's are high quality nylon strings for classical guitars. Fender start with the best nylon material they can find and use state-of-the-art manufacturing to make you the highest quality strings possible. Their basses are wound in pure silver for an outstanding clarity that can bring even dark and dull sounding guitars to life. Fender String Construction: Clear nylon trebles, pure silver-wound nylon basses.